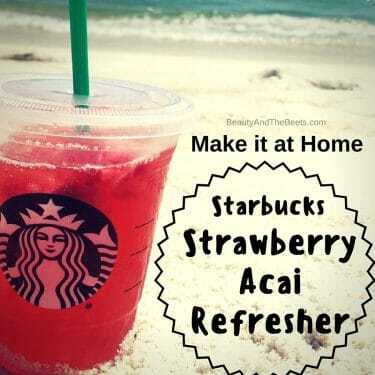 Last year, the drink of the summer was the Starbucks Pink Drink. The Pink Drink led to the Purple Drink, then the Orange Drink, then the Green Drink. 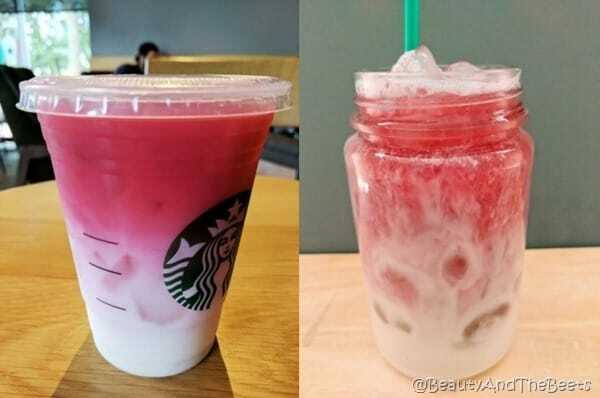 Now, this summer, Starbucks has gotten all fancy and introduced the OMBRE Pink Drink. 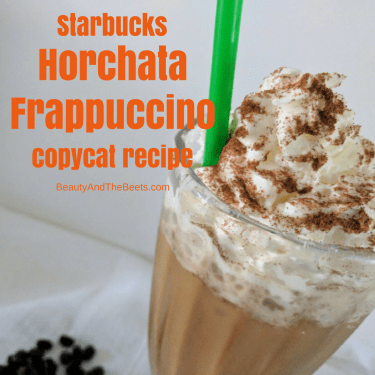 I was telling Mr. Beet about this crazy layered concoction and he said “Starbucks has a man drink?” No, no, no, not hombre…..ombre. 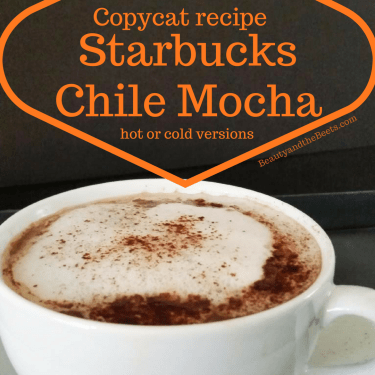 I showed him all the ombre hair styles that has taken over Pinterest, but I don’t know…maybe Starbucks does need to produce an hombre drink, something blue, something manly. 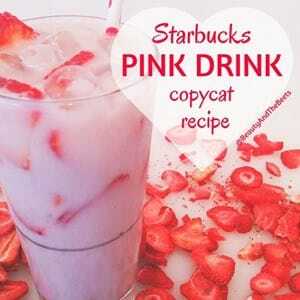 Anyway……as a self-professed Starbucks addict, I couldn’t resist trying to make this ombre pink drink at home. 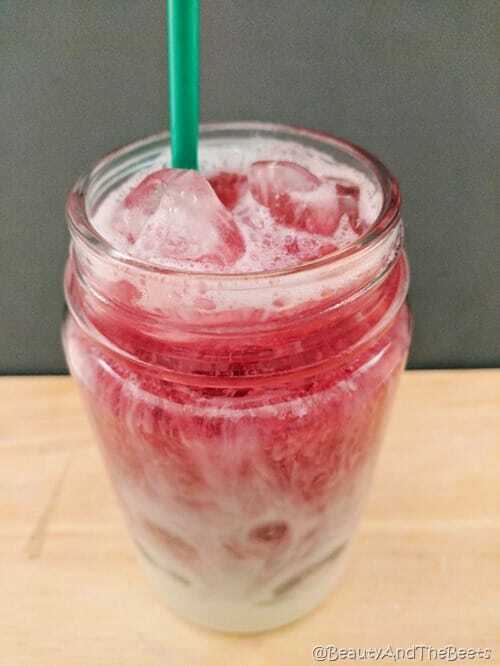 So let’s break this drink down – it’s a Cool Lime Refresher with Coconut Milk, layered with Passion Tango tea. As you can imagine, it’s fruity, though, in my opinion, it tastes a little diluted. However, it is easier to recreate at home than one might think. The trick is to use a spoon. 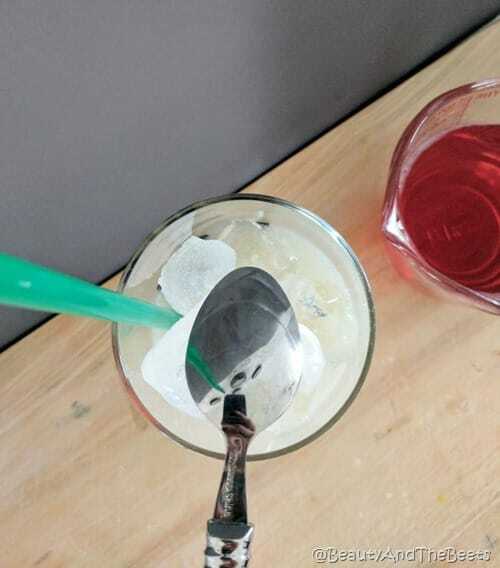 Use the backside of a spoon to layer the tea on top so it doesn’t automatically blend into the lime part. It’s an old bartending trick used to create layers in cocktails. Everyone loves a fancy crafted cocktail, right? 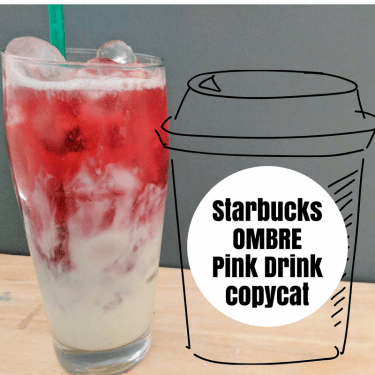 Interesting though, that Starbucks has called this the Ombre PINK drink as it really doesn’t entail the actual named Pink Drink at all. 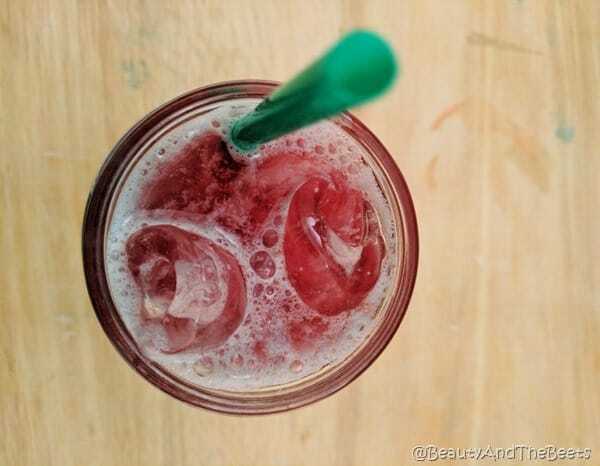 The Pink Drink on the Starbucks menu is the Strawberry Acai Refresher with coconut milk, where this ombre version doesn’t have any strawberry in it at all. My recipe makes enough for several ombre drinks. 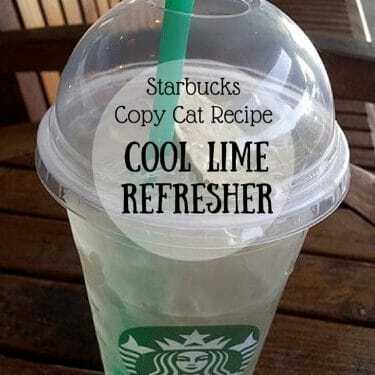 Frankly, just making the Cool Lime Refresher is a little bit of work and not worth making enough for just one glass. So make a BIG batch and share. 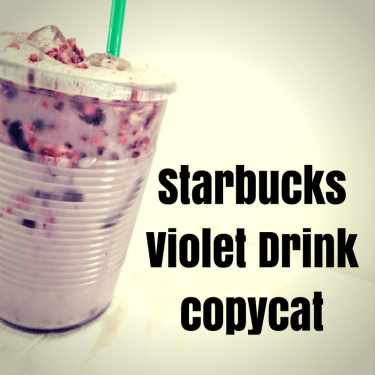 Enjoy the copycat Starbucks Ombre Pink Drink. Add 1 cup of peeled and diced cucumbers and 1/2 cup of finely chopped mint leaves into 3 cups of water. Add 1 cup of sugar (or sugar substitute) to 1 cup of water to create a simple syrup. Heat and stir until the sugar is dissolved. Remove from heat and let cool. Drain the cucumber/mint water over a strainer, saving the water. Add the white grape juice and an additional 2 cups of cold water and stir well. 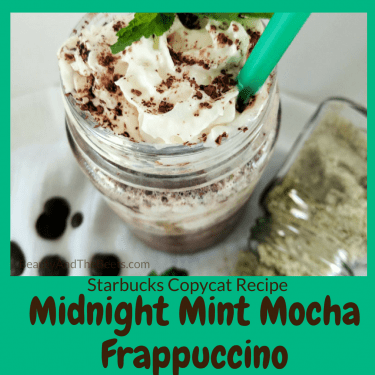 Serve immediately over ice or let the mixture sit in the fridge so the flavors all mix. In a jar with lid, shake together 1 cup of Cool Lime Refresher and 1/2 cup coconut milk. 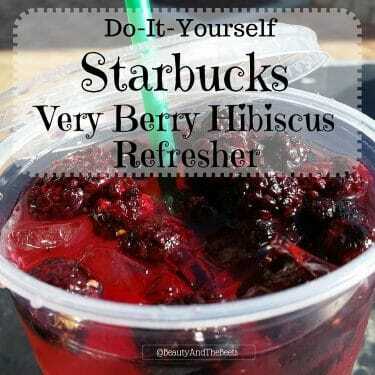 Rinse out the jar, then add 1/2 cup of Passion Fruit Tea. Remove the ice cubes from the tea. Place a spoon upside down over the serving glass with lime coconut mix. 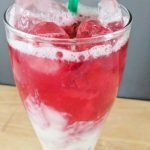 Slowly pour the Passion tea over the spoon so it drizzles over the ice and lime coconut mix. Lay a lime wheel gently on top of the drink, careful not to push the tea layer into the lime layer. 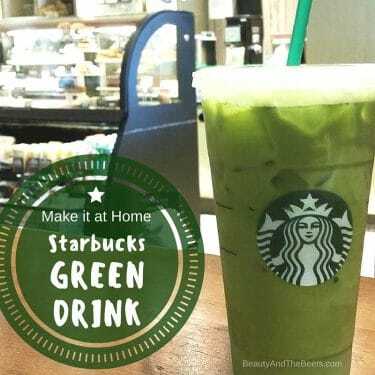 *add the straw during the drink construction. Adding the straw once the beverage is made will mix the layers. 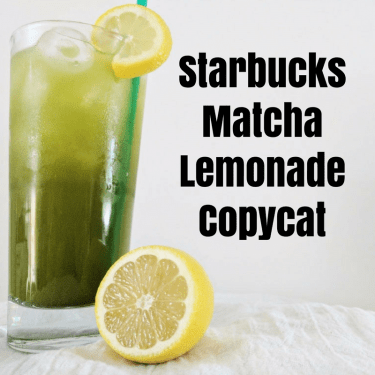 **Both recipes for the Cool Lime Refresher and the Passion Tea make about 2 quarts of each. 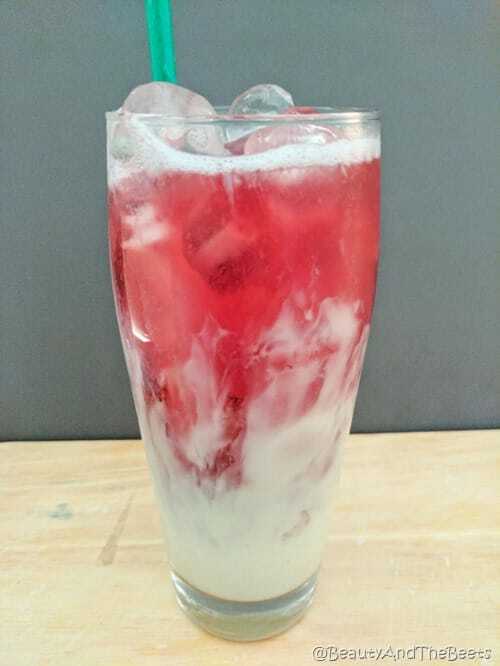 Therefore this recipe for the Ombre Pink Drink will make many servings. 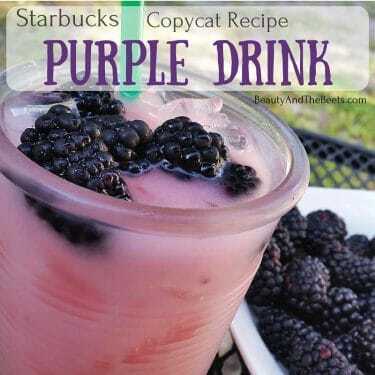 Use 1/2 cup of Coconut milk for each glass of the Ombre Pink Drink. Sounds so refreshing – I’ll have to try it.